Monsoon in India is not just a season but a celebration. If you are at the right place, one of the best monsoon destinations in India, be assured you will have a vacation of a lifetime. The season of rains is a blessing, one awaited by people all over the country. Descending from heavens, rains nurture earth transforming it into a haven. Imagine lush greenery, flowing rivers, bursting lakes, mighty waterfalls, amazing weather, the delicious petrichor, and a number of things to do, monsoon is wonderful. Make your travel plans, as we list some of the best places to visit in India during monsoon. 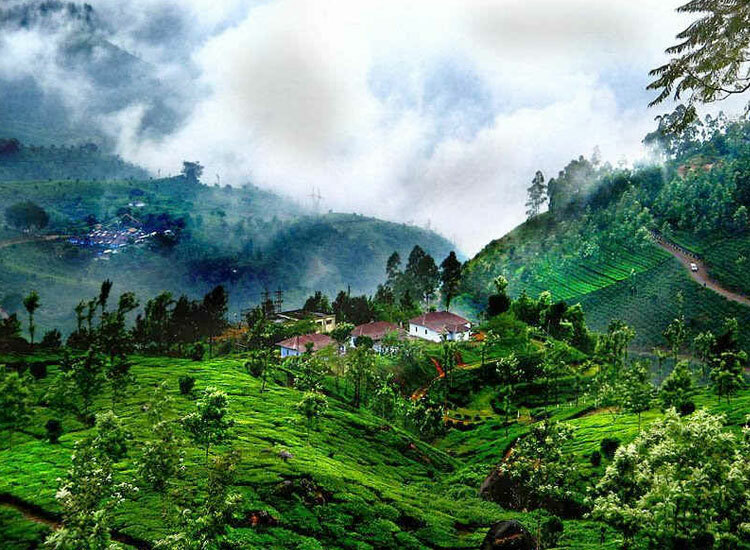 Munnar nestled in the Western Ghats is one of the most romantic places in the world. Monsoon is one of the best times to go visiting. 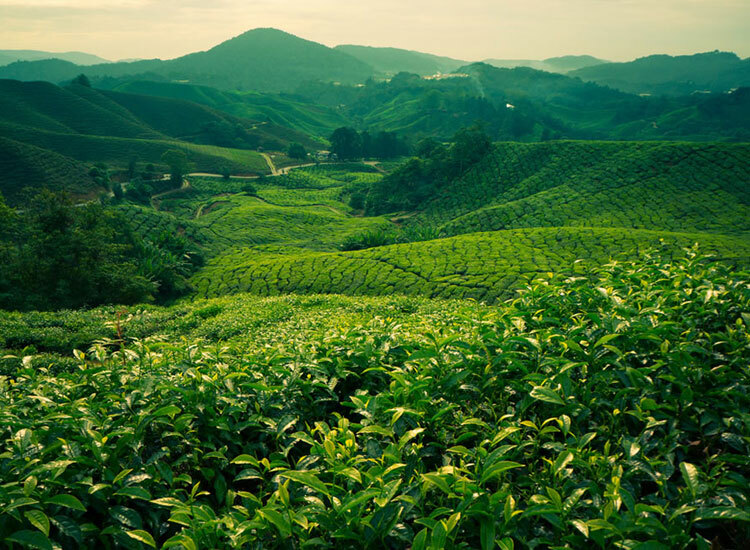 The tea growing hills shine like emeralds whereas the beautiful lakes shimmer. Seasonal waterfalls add to the charm. Do not miss out on trekking in rain, beautiful scenery and wildlife sightseeing awaits. You can also indulge in a pampering Ayurvedic spa session. Kerala certainly knows its Ayurveda secrets and monsoon is the right time for it. Also read about some of the most beautiful places to visit in Kerala. The former wettest place on Earth, Cherrapunjee is one of the most popular monsoon destinations in India. Clouds play hide and seek throughout the season with heavy to light rains. The lush green landscape appears out of the world. The waterfalls are a sight you must not miss out on, especially the Nohkalikai Falls. Few days here and you will be rejuvenated. 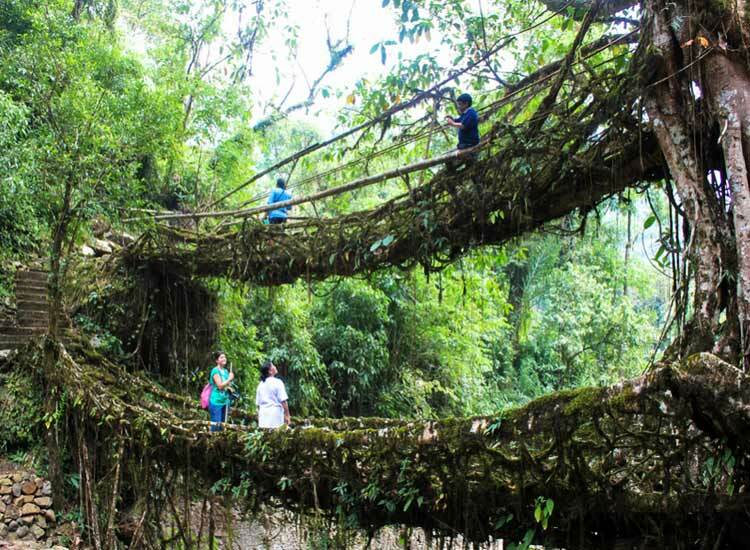 Visit the living roots bridge, explore caves, or pay a visit to scenic villages. The magic of rains is bewitching here. Check out an exclusive list of North East India holiday packages. The ‘Gift of the Forests’, Kodaikanal is blessed and during rains it’s simply heavenly. The hill town of Western Ghats is one of top places to visit in monsoon. 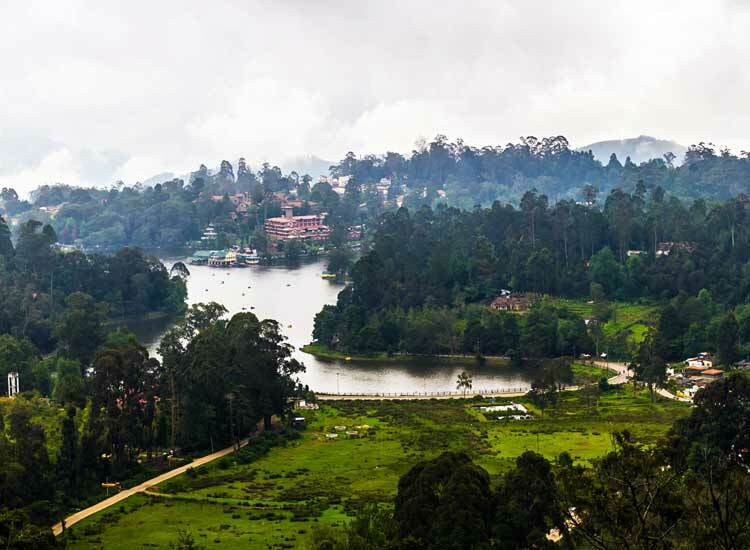 The Kodai Lake and the Berijam Lake glitter like a gem. Coaker’s Walk and Brynt Park are scenic trails while serious treks are available for Dolphin Nose, Kurunji Andavar Temple and Pillar Rocks. After the rain, you may be blessed to witness the rare phenomenon, Brachem Specter where you see a rainbow halo in clouds. If the rains are too much for you then why not escape it? If you seek a monsoon destination in India where it hardly rains, then welcome to Lahaul-Spiti Valley in Himachal Pradesh. Visit the monasteries, there are a number of them in the valley. Go for adventure sports like, trekking, mountaineering, bike riding, or river rafting in the season. Enjoy a homestay experience. Explore Tazo, Ki, Kibber and Dhankar Monasteries. Lahaul Spiti Valley is truly one of the best places to visit in India during monsoon. Try river rafting and other adventure sports. Pass through the high-altitude Kunzum pass. The paradisiacal Andaman and Nicobar Islands are a perfect vacation spot even in the monsoon. Surrounded by the azure waters of the Bay of Bengal, the island archipelago is blessed with the best beaches in India. Go exploring the historic parts at Port Blair, especially the Cellular Jail. Pay a visit to Havelock and Neil Island for the best relaxing beaches. Do not miss out on sunbathing, swimming, scuba diving, snorkelling, parasailing, bird watching, and trekking to the island’s tropical forests. What is truly magical is, the islands receive only light showers in the season. 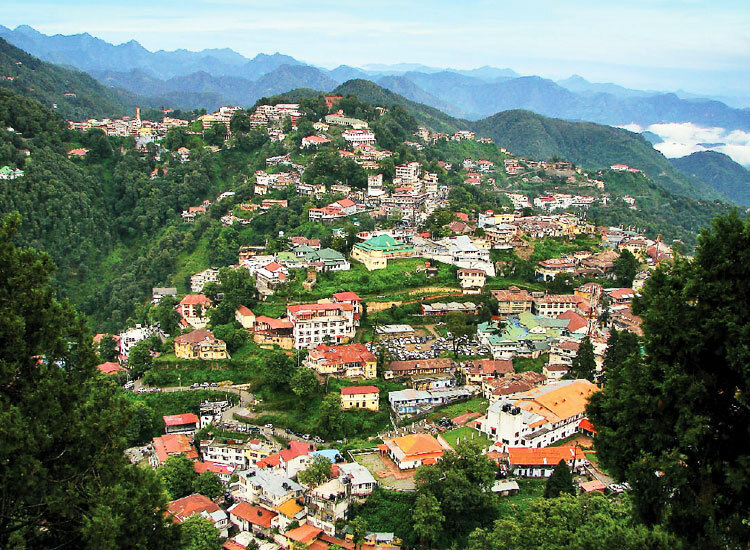 Mussoorie in Uttarakhand is one of the best monsoon destinations in India. Enveloped in mists clouds, the town appears charming. Enjoy the waterfalls like Battha and Kempty as they are spectacular in the rains. Visit the Naga Devta Temple along with some beautiful churches, the hill town is well-known for. Take walks in the town or go trekking on the scenic trails. Drive from Dehradun to Mussoorie in the rains, it is breathtaking. Escape the cities and enjoy a quiet weekend enjoying the rains. Coorg is magical, but in monsoon it’s heavenly. Washed fresh in the rain, the coffee plantations look beautiful and smell fantastic. Waterfalls are a big draw for tourists, especially the Abbey and Iruppu waterfalls. Walk through the surreal landscape as mists are spread all over. Exciting treks are available for adventure aficionados. Go wildlife spotting at the Nagarhole National Park. Grab great deals for monsoon holiday in India, where you enjoy a relaxed vacation. Get drenched in rains, have cups of coffee and let the pleasant weather soothe your senses. 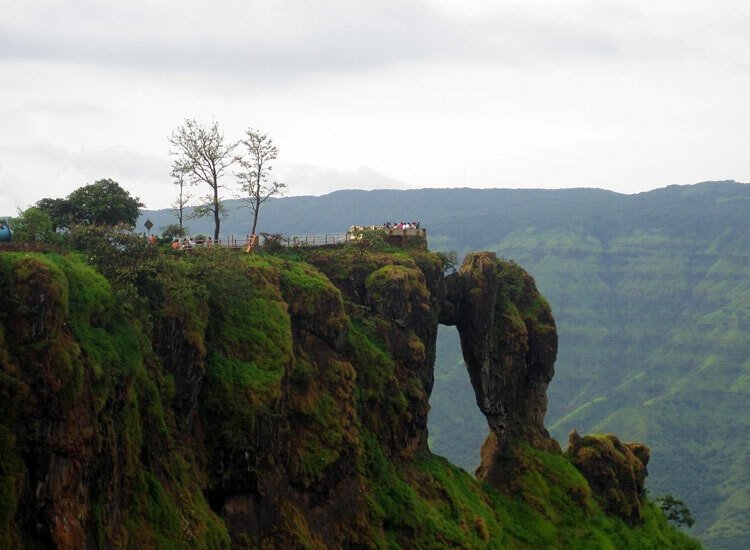 A monsoon holiday in India is complete only after you have witnessed Mahabaleshwar in rains. The breath-taking town of Maharashtra is one of the best monsoon destinations in India. Snuggled in the lap of lush Sahyadri, the landscape sparkles like an emerald. The clouds itself descend on the roads, adding an ethereal touch. Go trekking, there are many scenic trails. Escape for a weekend, the cool, green environment makes you forget the fast pace of cities. Enjoy views of the panorama from Echo Point, Malcom point, Arthur Seat and Babington, etc. 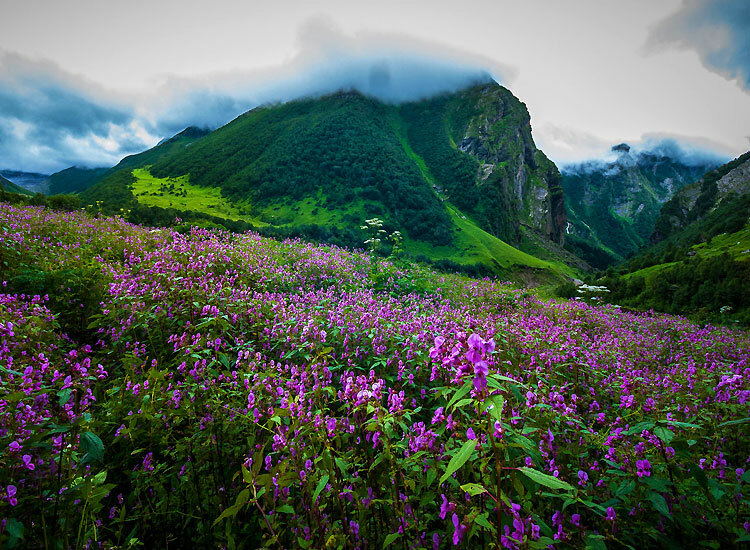 One of nature’s best gifts, the Valley of Flowers in Uttarakhand is one of the top places to visit in India during monsoon. After the rains, this valley transforms into a garden of mountain flowers. More than 300 species of mountain flowers in every shade possible in amazing pattern blooms here, making it a sight of God’s very own garden. An UNESCO World Heritage Site, the valley is a national park which can be only visited in the season of rains. Spot high-altitude birds and wildlife like Asiatic black bear, snow leopard, musk deer, blue sheep, etc. Without a word of doubt Ladakh in one of the best places to visit in India during monsoon. 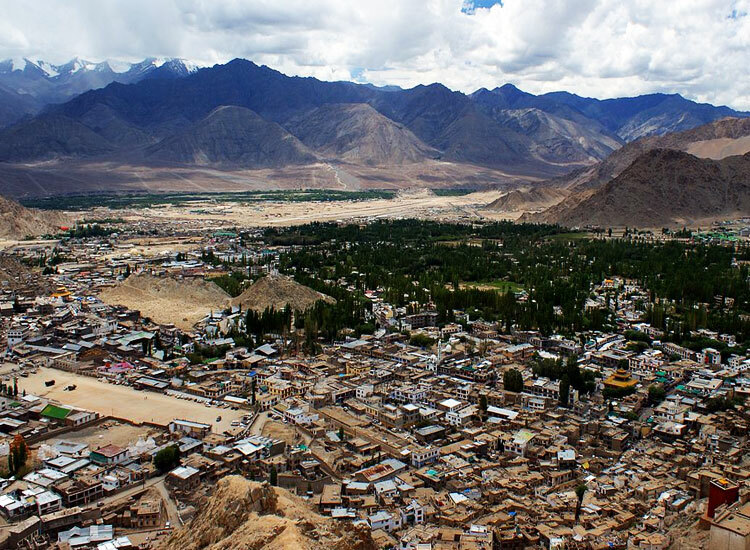 Though, Ladakh is an experience that will change you forever. Visit the Buddhist monasteries like Thiksey, Hemis among many others to know about Tibetan Buddhism. Trekking, paragliding and white water rafting are popular sports. Camp at the Pangong Lake or the sand dunes of Nubra Valley. Monsoon is the time when one can take a road trip to the remote region. It is also the time of festivals, masked Cham Dances, music and celebrations. Book your adventure tour to Ladakh with Us. Goa features on the very top on the list of monsoon holiday destinations India. Magical in rains, the smallest state of India is fun to explore in the season. Explore Portuguese legacy in the churches, forts and museums. Fun sports take you trekking to Dudhsagar falls, spice plantations and the wildlife sanctuaries. 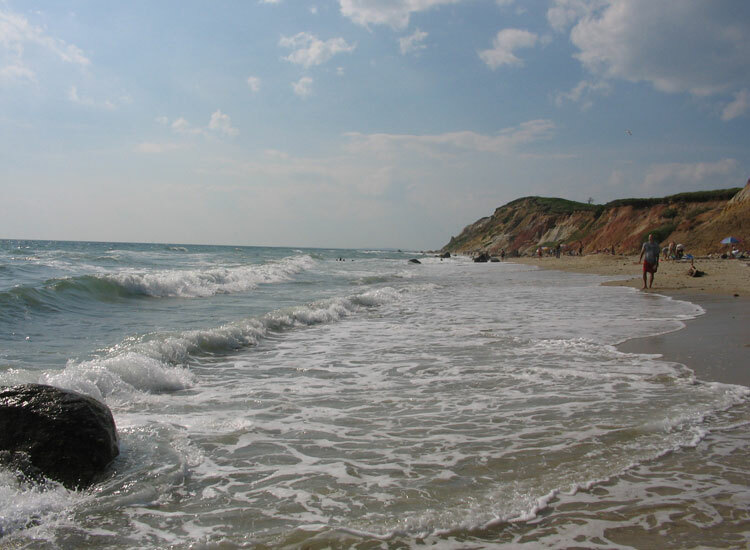 The beaches are free of crowds and it is important to avoid getting in the sea at all costs. It also rains discounts in Goa, therefore do pamper yourself with luxury experiences. Ayurveda, yoga and meditation offer rejuvenating massages. The beach destination of Kovalam in Kerala is also on our list of top monsoon destinations in India. Why we suggest to visit the beach haven in monsoon is, it is one of the best places for Ayurveda in India. Also, during the season of rains, Ayurveda works its magic. The shores of Kovalam are generally crowd free in the season so you can enjoy leisurely strolls. Savour the delicious seafood. 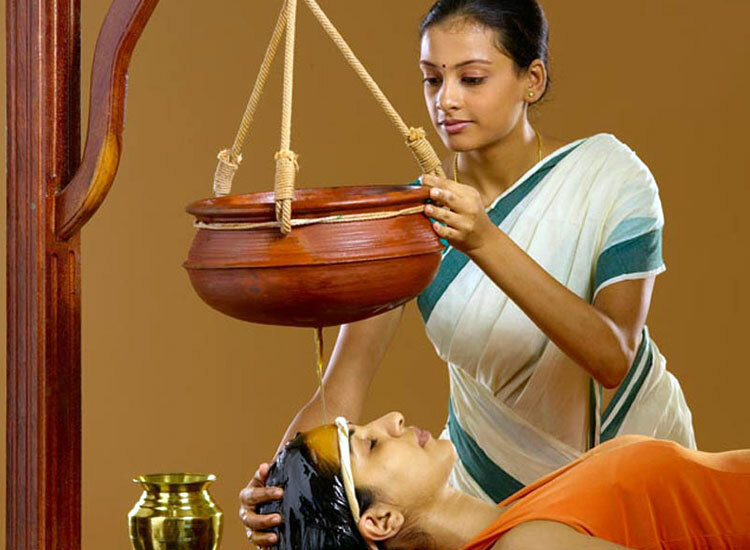 Get Ayurvedic therapies, rejuvenating your body, mind and soul. Spend a relaxed vacation away from cities. Read about some of the most popular beach destinations in India. 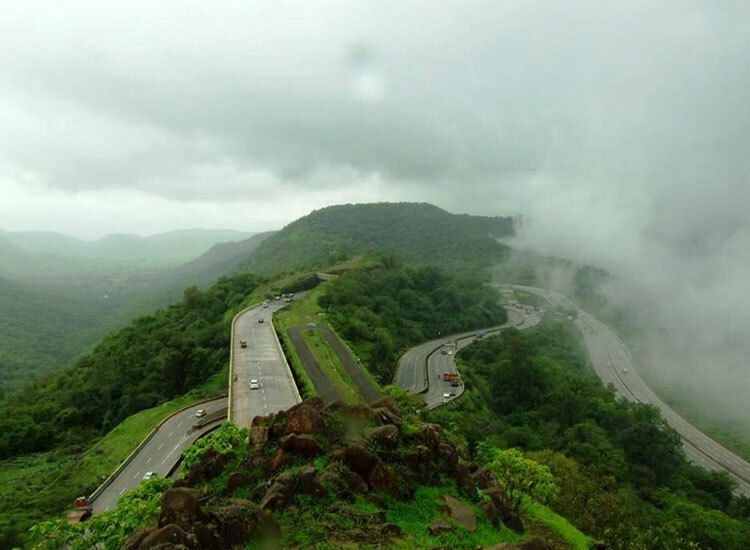 If you want to cherish the essence of monsoon, then Lonavala is the place you must visit in India during the season of rains. Snuggled in the Sahyadri mountain ranges, the hill town enjoys pleasant weather, as light showers mark the season. Enjoy the alluring greenery, rare flowers, birds and butterflies while trekking. Stop by the breath-taking waterfalls and lookouts offering panoramic views. Get away from cities and breathe in fresh air. Choose to stay in hotels or campsites, both offer a good experience. While talking about monsoon holiday destinations in India, how can we miss Udaipur? The royal city of Rajasthan has a dedicated monsoon palace. 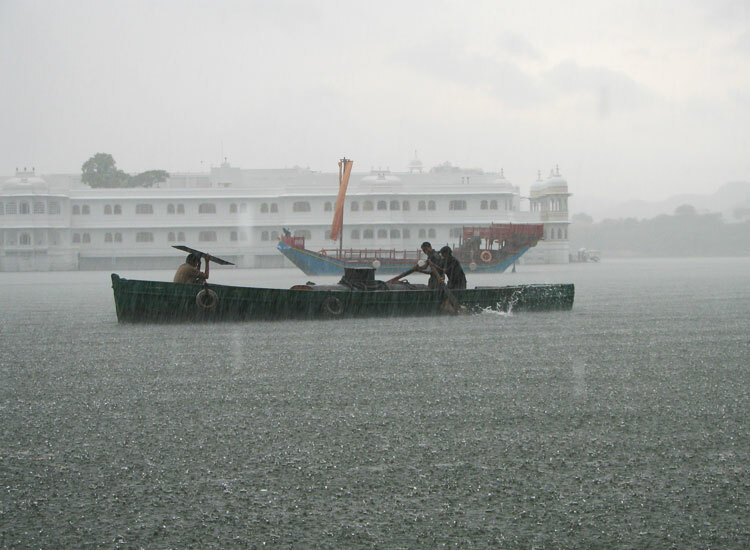 Udaipur is one of the most romantic places in India and monsoon makes it truly magical. The lakes are full and beautiful, shining in sunshine. The Aravalis in the backdrop don a green look. The dancing peacocks, add charm to the rain-washed beauty. Explore the palaces and gardens, go boating or pamper yourself to Rajputana hospitality, enjoy an unforgettable monsoon holiday. Discover what to see and things to do in Rajasthan. Lastly, we come to Alleppey, one of the best places to celebrate rains in India. One of the most popular monsoon destinations in India, the backwater town in Kerala, God’s Own Country is enchanting. 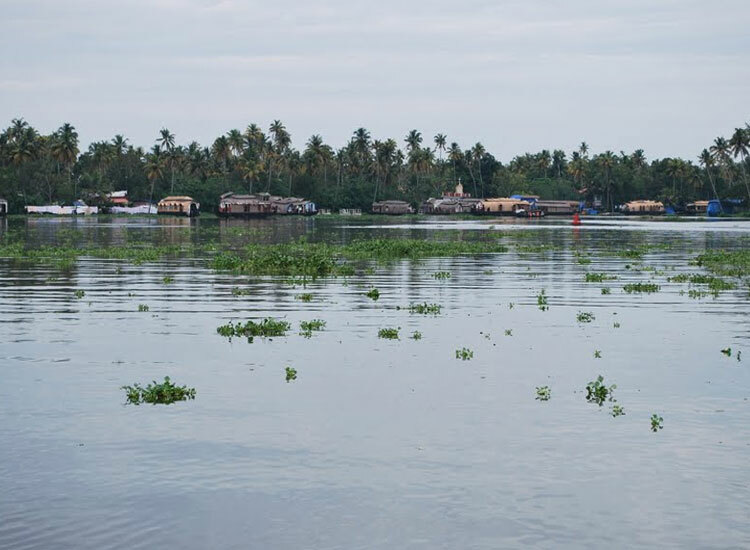 In the season of rain Alleppey comes alive. The backwater are fresh thriving with life. Backwater cruises on houseboat is a great experience to try. Ayurveda thrives in the moist season and the town offers amazing options to get treatment. Also, Onam, the biggest festival is celebrated this time of the year. Do not miss to attend, a snake boat race. Have a look at Kerala holiday packages. Most Captivating Waterfalls in India Worth Checking Out! 2 comments on "15 Best Places to Visit in India During Monsoon"
I am planning of the Ganges, visit in 5 days time. I am so excited. The monsoon makes it possible to sail down he Ganges as far as Varanasi. Thanks for the sharing. I am planning of the Alleppey, Kerala with friends, visit in the next week. I am so excited with trip friends. Thanks for sharing.